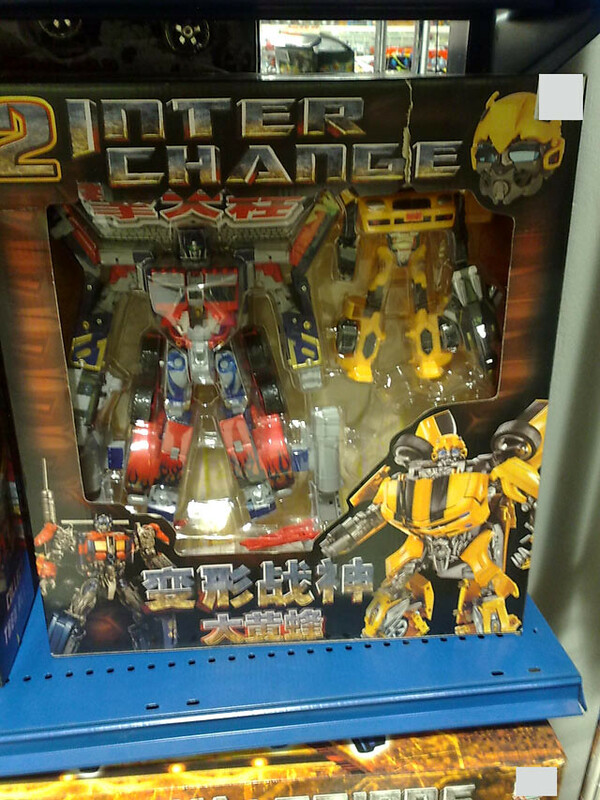 Was in the mall recently and I spied some bootleg Transformers toys being sold in one of the stores. Didn't bother buying any to get a sample of it because the price is half as astronomical as the original ones... hehehe. I have to say however that they have a lot of varieties of it. 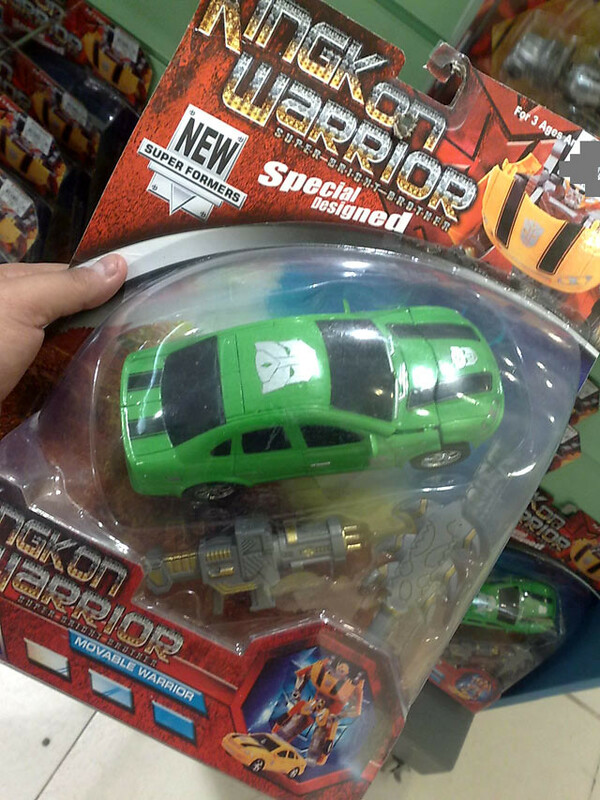 Some are copies of existing toys while others just ride on to the Transformers toy's name. 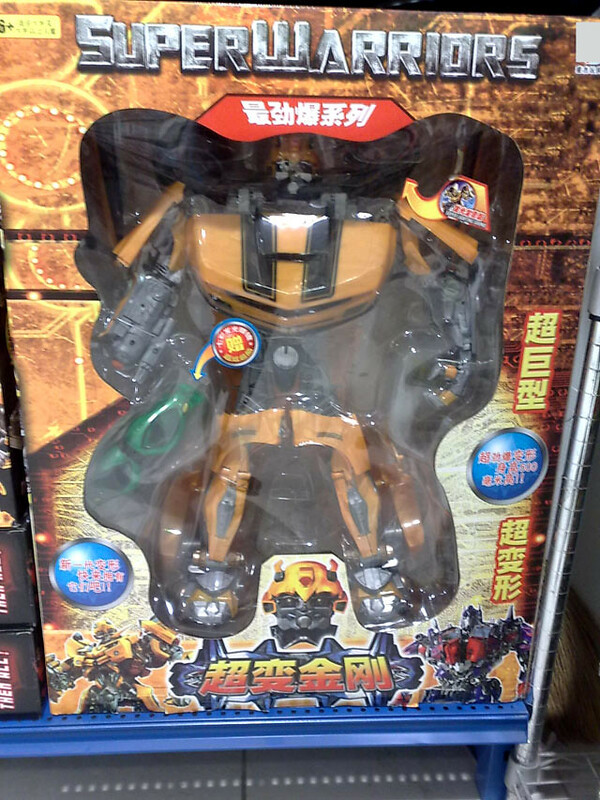 Characteristic of bootleg toys are cheap price and cheap plastic that will break easily. 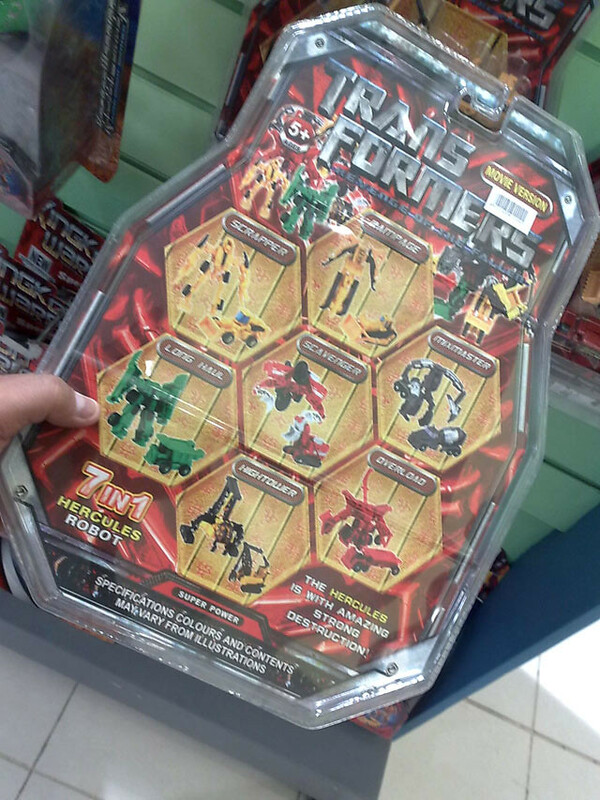 I have to give them some points for design effort, since its no easy feat to design a toy that transforms then combines to build a bigger robot. 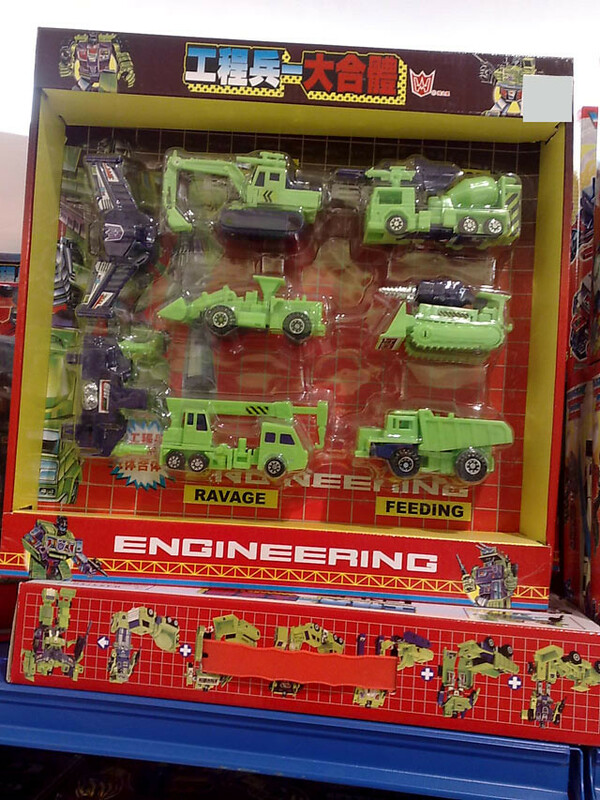 This one however looks like it was patterned after the Constructicons. 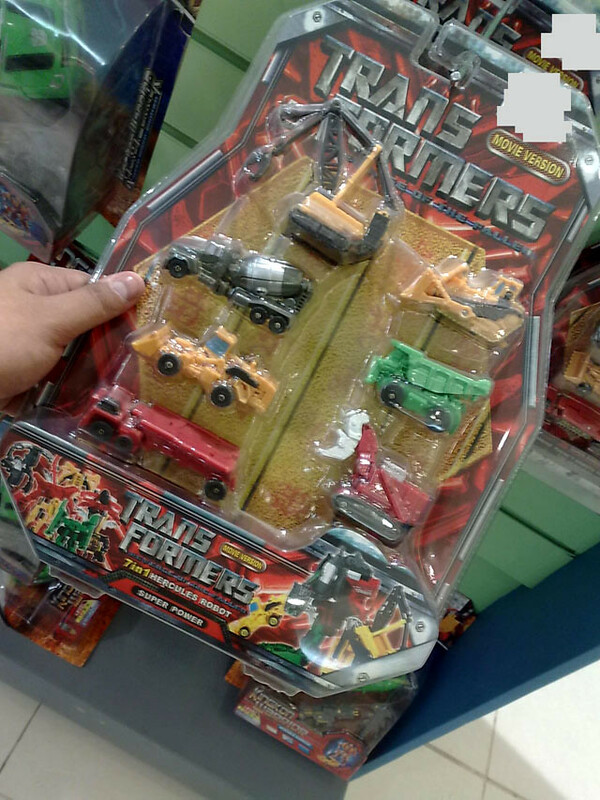 This is a blatant rip-off of the Constructicons, right down to the color and Decepticon logo. Would you believe this was almost 2 ft tall? It was also priced accordingly, about $60. 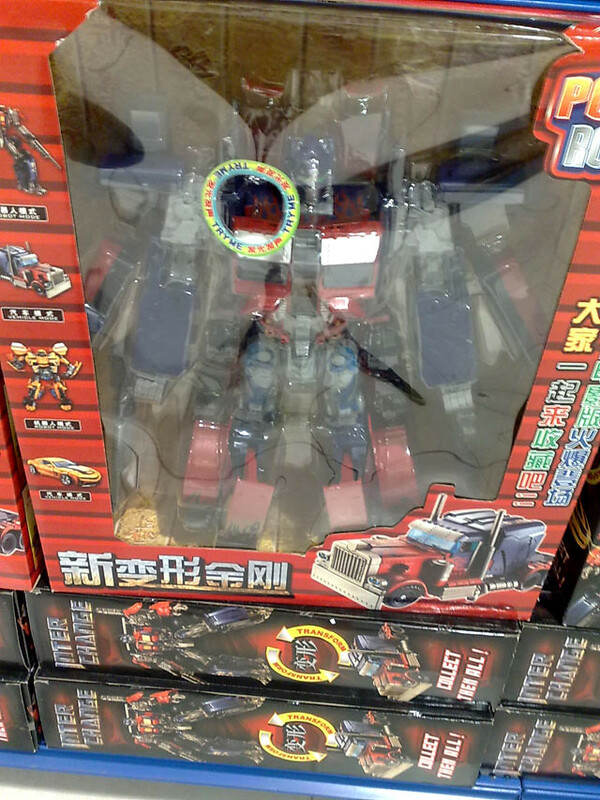 I call original design on this one but with a splash of trying to pass itself off as an original Transformers toys by adding a super extra large logo that screams "Autobot". This was selling for a about $5.